Is anyone surprised that the majority of these anti-Christian countries are Islamic? Click on map below for larger image. This was published by Ignatius Press’ Catholic World Report. Washington D.C., Jan 15, 2018 / 11:55 am (CNA/EWTN News).- There are more than 215 million persecuted Christians worldwide according to the 2018 World Watch List, Open Doors USA’s annual ranking of the 50 worst countries for violence and persecution against Christians. The report found that one in twelve Christians worldwide are victims of violent persecution. Open Doors USA cites the spread of radical Islam and increasing religious nationalism as the two major drivers of global Christian persecution. North Korea tops the list of worst offenders, as it has for the past 16 years. Although the communist North Korean government claims to provide freedom of religion in its constitution, no one can be openly Christian within the atheist state without facing arrest, re-education in a labor camp, or, in some cases, execution. Despite the danger, Open Doors USA finds that there has been tremendous growth in underground Christianity in North Korea in the last two decades. The report estimates that there might be up to 300,000 Christians living clandestinely in North Korea. Afghanistan comes in a close second in this year’s World Watch List ranking. Afghan citizens in this 99 percent Muslim country are banned from becoming Christian. Open Doors USA reports that underground Christians in Afghanistan have been killed by their own family members, who viewed the Christian conversion as a shameful apostasy. Islamic oppression continues to be a growing concern for many Christians around the world. For eight of the top ten countries on the World Watch List, Islamic extremism is the primary cause of Christian persecution. Islamic militancy has been on the rise in Somalia, where Christians, if discovered, are often martyred. 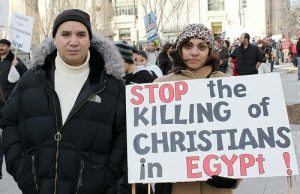 Christians in Egypt, India, Libya, and Kazakhstan also experienced increased persecution since last year’s report. Pakistani Christians experienced the most documented violence according to the report. 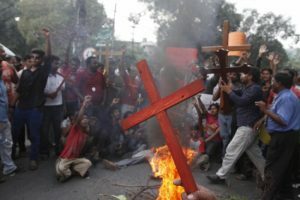 Islamic militants in Pakistan specifically target Christians. A suicide bomb on Easter Sunday 2016 killed 74 people and injured hundreds more. In addition to the spread of radical Islam, the report identified a rise in religious nationalism and intense persecution in central Asia as major trends in the persecution of Christians. Hindu nationalism has increased in India and Nepal, as has Buddhist nationalism in Burma and Sri Lanka. And persecution of Christians in central Asian nations, including Uzbekistan, Tajikistan, Kazakhstan, and Azerbaijan, is intensifying under nationalist, pro-Islamic governments. Also included on the list were Mexico and Colombia, where organized crime and corruption were cited as the source of Christian persecution. Open Doors USA documented that 3,066 Christians were killed; 1,252 were abducted; 1,020 were raped or sexually harassed; and 793 churches were attacked within the reporting period for the 2018 World Watch List. Steve’s segment starts 24:00 minutes into the show. The questions are multiple. What is happening to the Church? Why aren’t Rome and the bishops doing something about homosexual clergy? Why should I stay with the Church with all the confusion and lack of action with Pope Francis and the Vatican? I am angry and don’t know what to do! Teresa and Steve talk frankly about these matters and give the overall picture — and — encourage Catholics to stay, be proud and to act! Are You a Schismatic if you Disagree with the Pope (e.g., Cardinal Burke)?